It's tricky enough in face-to-face conversations that offer facial expressions, gestures and tone of voice because those physical cues add context. Spotting a liar gets even tougher in blind computer conversations. 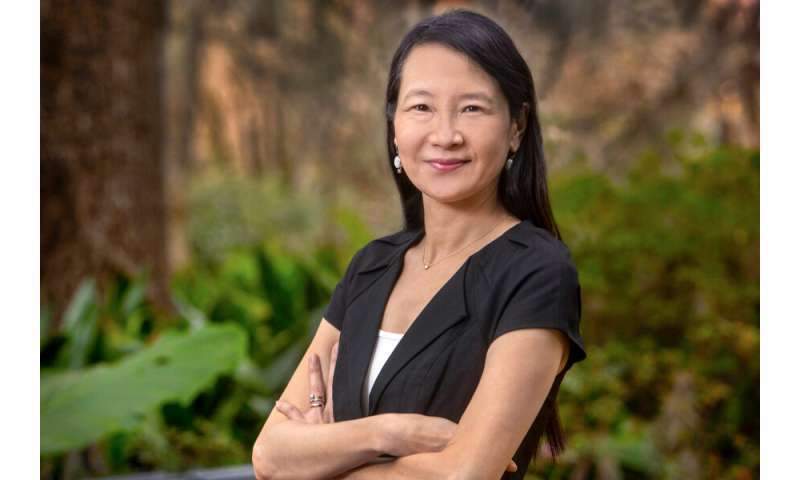 "The future of my research is an online polygraph that could be used many different ways," said Ho, an associate professor in the College of Communication and Information. "You could use it for online dating, Facebook, Twitter—the applications are endless. I think the future is unlimited for an online polygraph system." Ho envisions a future where technology can identify liars and truthtellers based on the words they write in electronic messages. Her latest research dove into the murky depths of internet deception where trolling, identity theft and phishing for credit card numbers snag an increasing number of online users. "I want to get the world's attention on this research so we can hopefully make it into a commercial product that could be attached to all kinds of online social forums," Ho said. "This basic research offers great potential to develop an online polygraph system that helps protect our online communication." "Truthtellers tend to say 'no' a lot. Why?" Ho asked. "They like to provide emphasis when they explain their reasons. If you ask them, 'Is this true?' They tend to say 'no' because there is another true reason." Ho said she hopes her research will eventually give people better protection when they're online. "I think we all have good common sense about the people we meet face to face, but how much common sense do we have with the strangers we encounter online where you can meet a lot of people very fast," Ho said. "This research is so important because it can provide another reference point offering more protection. All of society can benefit."